Critical introductions to a range of literary topics and genres. The modern short story has suffered critical neglect in Britain. This book is something of an attempt to redress the situation. 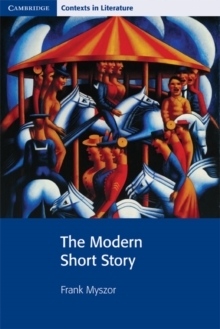 It focuses on short stories written in English mainly in Britain and America and is in three sections: short stories in the 19th century; modernism and short stories; and contemporary and post-modern short stories.